Myocastor coypus (coypu) is a large semi-aquatic rodent which originated from South America. However, due to escapes and releases from fur farms there are now large feral populations in North America, Europe and Asia. Their burrows penetrate and damage river banks, dykes and irrigation facilities. 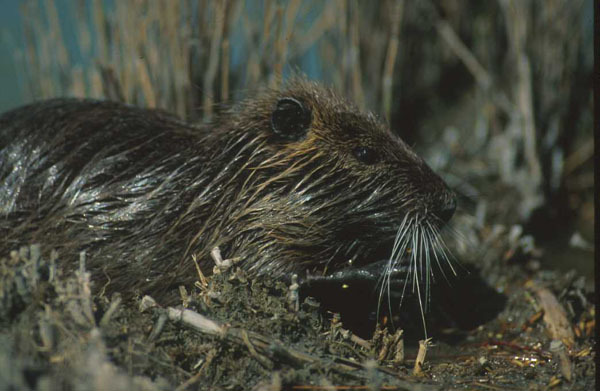 Myocastor coypus' feeding methods lead to the destruction of large areas of reed swamp. Habitat loss caused by coypus impacts plant, insect, bird and fish species. Myocastor coypus (coypu) is a large rodent (5-9kg; 40-60cm body; 30-45cm tail), superficially rat-like, pelage brown and yellow-brown in colour with a cylindrical tail. It has webbed hindfeet, with a footprint up to 15cm long, imprints of the web is often visible; incisors are prominent and bright orange-yellow (unlike rats which are yellow-brown), with white marks on muzzle (Woods et al. 1992, Carter and Leonard 2002). Faeces cylindrical, up to 70mm long, with fine longitudinal striations (LeBlanc, 1994). Myocastor coypus (coypu) prefer habitats near the water, animals are rarely observed over 100m away from river. Severe winter could reduce reproductive success and adult survival. 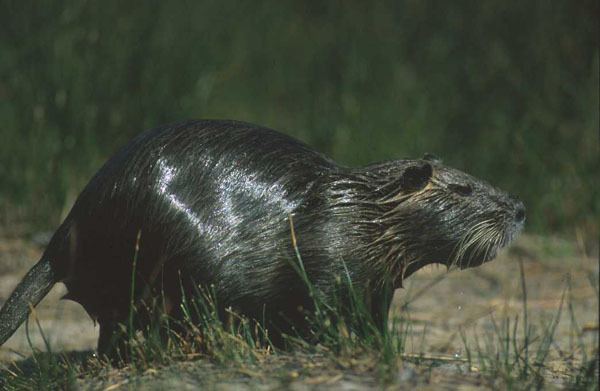 Myocastor coypus (coypu) are generally found near permanent water, particularly reed beds and swamp/marsh. Also found in rivers, streams, lakes, ponds and brackish marsh in coastal areas. Fur farms, introduced for fur exploitation. Carter, J. and Leonard, B. 2002. 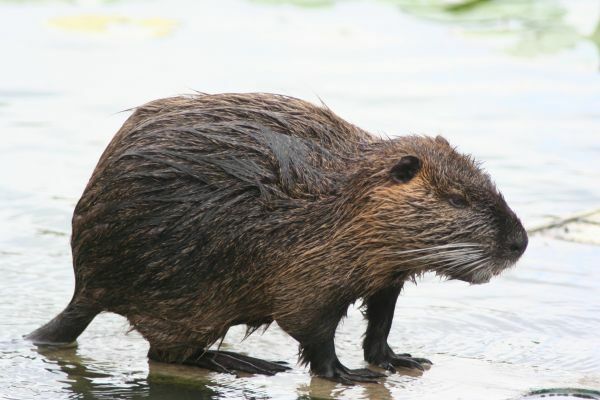 A review of the literature on the worldwide distribution, spread of and efforts to eradicated the coypu (Myocastor coypus). Wildlife Society Bulletin 30: 162-175. 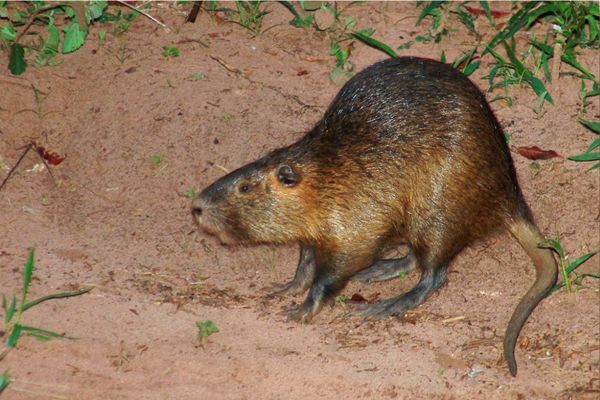 Recommended citation: Global Invasive Species Database (2019) Species profile: Myocastor coypus. Downloaded from http://www.iucngisd.org/gisd/species.php?sc=99 on 19-04-2019. Myocastor coypus (coypu) burrows undermine the banks of rivers and dykes causing instability (Carter and Leonard, 2002). Feeding on rhizomes and young shoots of marsh plants leads to plant community breakdown and can lead to erosion in coastal habitats (LeBlanc, 1994). Coypu feeding on sea oat rhizomes in Mississippi barrier islands have led to sand dune erosion in these important habitats (GSMFC 2005). At high densities coypu are able to convert marshland to open water by feeding on plants. Habitat destruction caused by coypu threatens rare marshland species of bird, fish and invertebrates. In Italy coypu have caused breeding whiskered tern (Chlidonias hybrida) to decline by largely destroying the cover of water-lilies Nymphaea in Valli di Argenta a designated IBA (Important Bird Area). The habitats of two national treasure species in Japan - a critically endangered dragon fly (see Libellula angelina in IUCN Red List of Threatened Species) and a fish the vulnerable deep-bodied bitterling (see Acheilognathus longipinnis in IUCN Red List of Threatened Species) (Shirow Tatsuzawa, pers. Comm.) 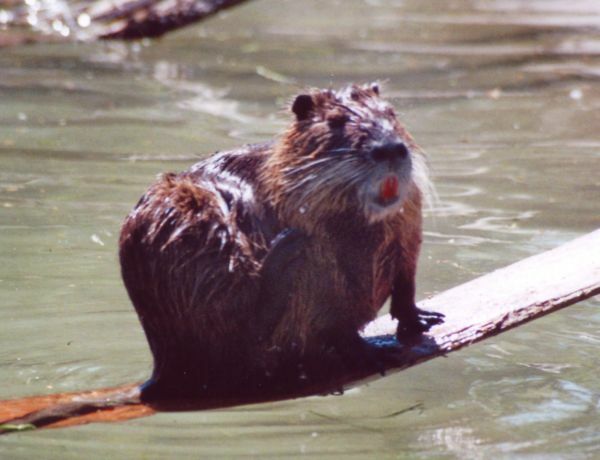 are threatened by coypu. Informations on Myocastor coypus has been recorded for the following locations. Click on the name for additional informations. Bomford, M., 2003. Risk Assessment for the Import and Keeping of Exotic Vertebrates in Australia. Bureau of Rural Sciences, Canberra. Summary: Website contains information about the introduced range of the coypu broken up by continent. Carter, J. and Leonard, B. P. 2002. A review of the literature on the worldwide distribution., spread of, and efforts to eradicate the coypu (Myocastor coypus) Source. Wildlife Society Bulletin. 30(1): 162-175. Genesis Laboratories, Inc. 2002. Report prepared for the Lousiana Department of Wildlife and Fisheries. 155pp. Genovesi, P. 2005. Eradications of invasive alien species in Europe: a review. Biological Invasions. 7 (1): 127-133. Summary: This paper gives details about the eradications of invasive species from Europe. Gosling, L. M. 1989. Extinction to order. New Scientist, 4 march 1989: 44-49. Summary: Results of the eradication campaign in England. Gosling, L. M. and Baker, S. J. 1987. Planning and monitoring an attempt to eradicate coypus from Britain. Symposia of The Zoological Society of London 58: 99-113. Summary: Populations simulations were used to help plan a campaign to eradicate feral coypus. Gosling, L. M., Baker, S. J. and Clarke, C. N. 1988. An attempt to remove coypus (Myocastor coypus) from a wetland habitat in East Anglia. Journal of Applied Ecology 25: 49-62. Summary: A trial was carried out to test wether it was possible to eradicate coypu using cage trapping. Harper, D.M., Mavuti, K.M. and Muchiri, S.M., 1990. Ecology and management of Lake Naivasha, Kenya, in relation to climatic change, alien species introduction, and agricultural development. Environmental Conservation 17: 328-336. Marx, J., Mouton, E., Linscombe, G. 2003. Nutria harvest distribution 2002-2003 And A survey of nutria herbivory damage in coastal Louisiana in 2003. Unpublished report by Fur and Refuge Division, Louisiana Department of Wildlife and Fisheries. Tatsuzawa, Shirow. Department of Regional Science, Hokkaido University, Japan. Summary: Interview at ISSG HQ. Auckland, 19 March 2004. Abbas, A. 1991. Feeding strategy of coypu (Myocastor coypus) in central western France. Journal of Zoology, London, 224: 385-401. Borgnia, M., Galante, M. L. and Cassini, M. H. 2000. Diet of the coypu (Nutria, Myocastor coypus) in agro-systems of Argentina Pampas. Journal of Wildlife Management 64(2): 354-361. Summary: Diet composition and food selection of coypu in three riparian habitats. CONABIO. 2008. Sistema de informaci�n sobre especies invasoras en M�xico. Especies invasoras - Mam�feros. Comisi�n Nacional para el Conocimiento y Uso de la Biodiversidad. Fecha de acceso. Mendelssohn H & Y Yom-Tov, 1987. Eds. Vol 7: Mammals. Plants and Animals of the Land of Israel. Ministry of Defence/The Publishing House, Society for the Protection of Nature in Israel. Reggiani, G., Boitani, L. and De Stefano, R. 1995. Population dynamics and regulation in the coypu Myocastor coypus in central Italy. Ecography 18: 138-146. 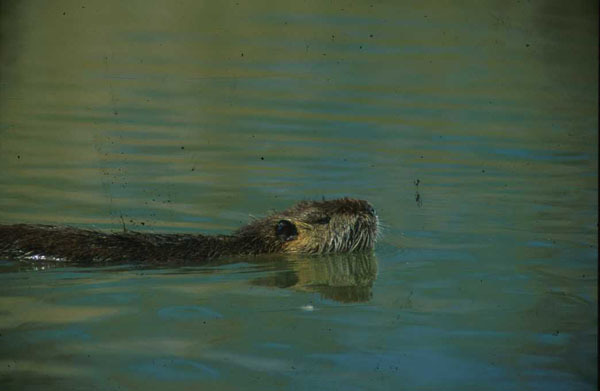 Summary: Demographic parameters of a coypu population in Mediterranean climate. Reggiani, G., Boitani, L., D Antoni, S. and De Stefano, R. 1993. Biology and control of the coypu in the mediterranean area. Suppl. Ric. Biol. Selvaggina XXI: 67-100. 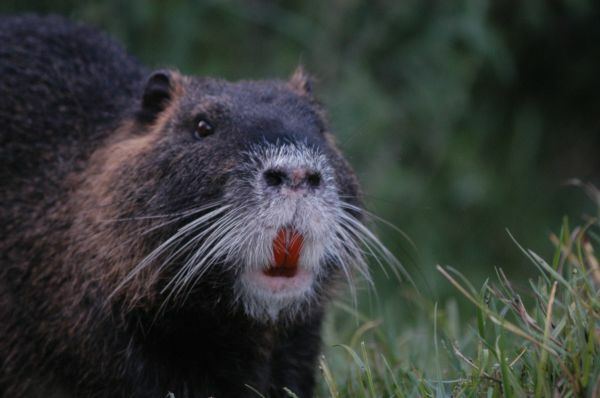 Summary: Biology and regulation factors of coypu population in mediterranean habitats. Willner, G. R., Chapman, J. A. and Pursley, D. 1979. 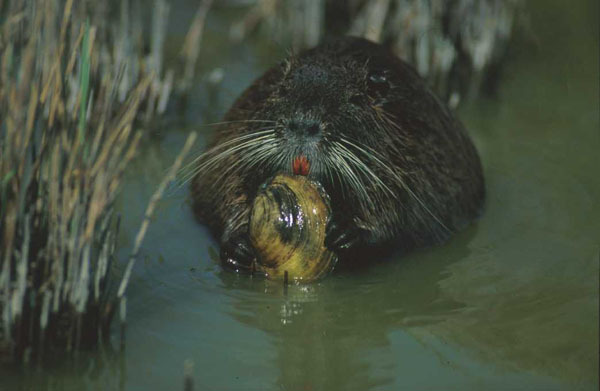 Reproduction, physiological responses, food habits, and abundance of nutria on Maryland marshes. Wildlife Monograph 65: 43. Summary: Study on feeding strategies, population dynamics and adaption of coypus. Woods, C.A., Contreras, L., Willner-Chapman, G. & Whidden, H.P. 1992. Myocastor coypus. Mammalian Species 398: 1-8. Summary: Detailed taxonomic information about the species. Map of original native range. Information about breeding, feeding and general impacts. Mainly focussed on native range, some mention of impacts and management in introduced range. Department of Regional Science, Hokkaido University.